One of Henry Mayhew’s (London Labour & the London Poor. 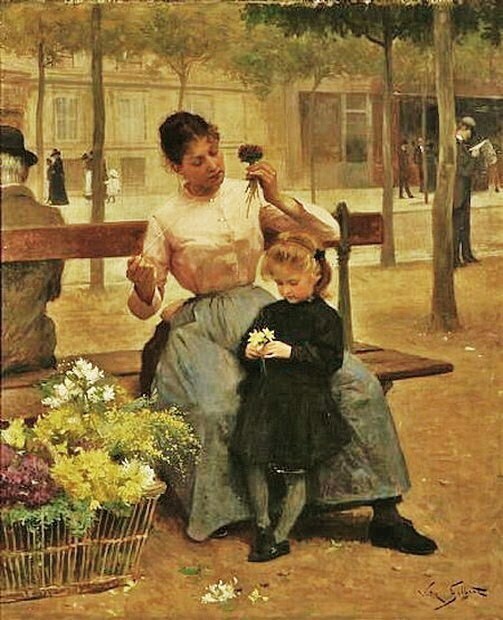 1851) investigations focused on flower girls – children aged under 20 who walked the streets selling flowers, mostly sent out by their parents, but in some cases through the necessity to make ends meet having been orphaned. 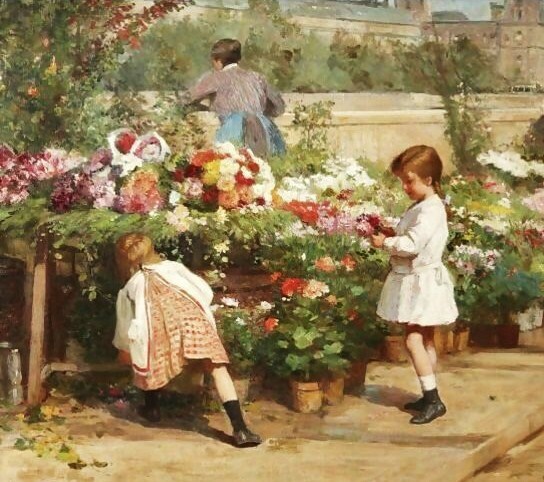 Mayhew pointed out that young girls often started out by selling cut flowers & small bunches of herbs: "At about 7 years of age the girls first go into the streets to sell. A shallow-basket is given to them, with about two shillings for stock-money, & they hawk, according to the time of year, either oranges, apples, or violets; some begin their street education with the sale of water-cresses." 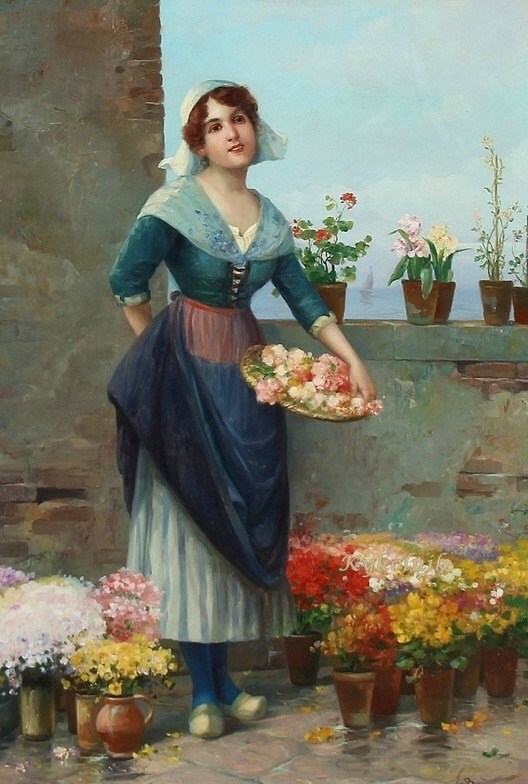 “I sell flowers, sir; we live almost on flowers when they are to be got. I sell, & so does my sister, all kinds, but it’s very little use offering any that’s not sweet. I think it’s the sweetness as sells them. 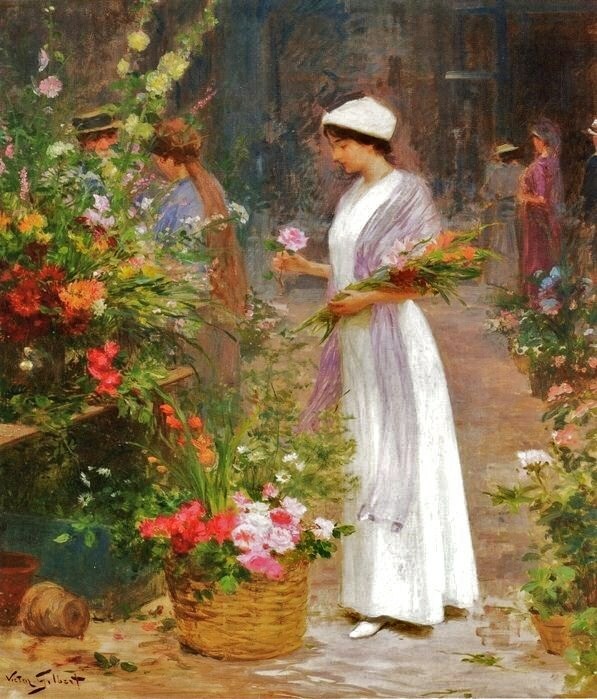 I sell primroses, when they’re in, & violets, & wall-flowers, & stocks, & roses of different sorts, & pinks, & carnations, & mixed flowers, & lilies of the valley, & green lavender, & mignonette (but that I do very seldom), & violets again at this time of the year, for we get them both in spring & winter.” [They are forced in hot-houses for winter sale, I may remark.] 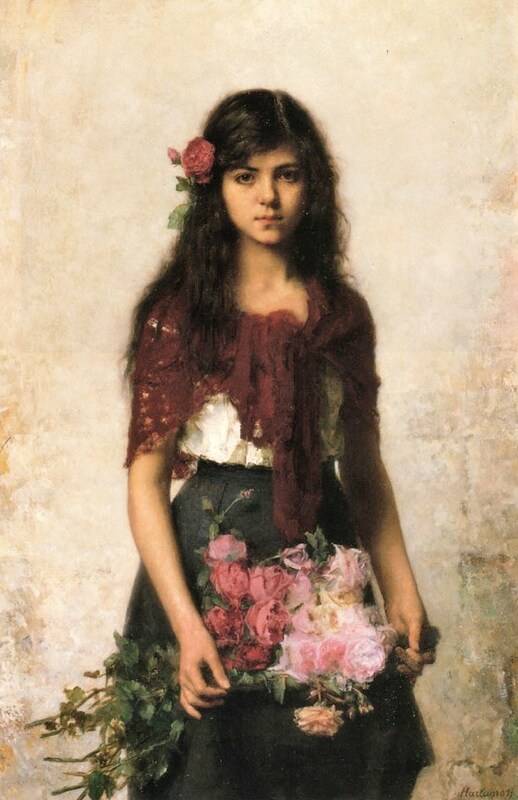 “The best sale of all is, I think, moss-roses, young moss-roses. We do best of all on them. Primroses are good, for people say: `Well, here’s spring again to a certainty.’ Gentlemen are our best customers. I’ve heard that they buy flowers to give to the ladies....I buy my flowers at Covent Garden; sometimes, but very seldom, at Farringdon. I pay 1s. for a dozen bunches, whatever flowers are in. Out of every two bunches I can make three, at 1d. a piece. Sometimes one or two over in the dozen, but not so often as I would like. We make the bunches up ourselves. We get the rush to tie them with for nothing. We put their own leaves round these violets (she produced a bunch). The paper for a dozen costs a penny; sometimes only a halfpenny. ...We do better on oranges in March or April, I think it is, than on flowers. Oranges keep better than flowers you see, sir. Street sellers, often called costermongers in Britain, were known to have been in London from at least the 15C, & possibly much earlier. 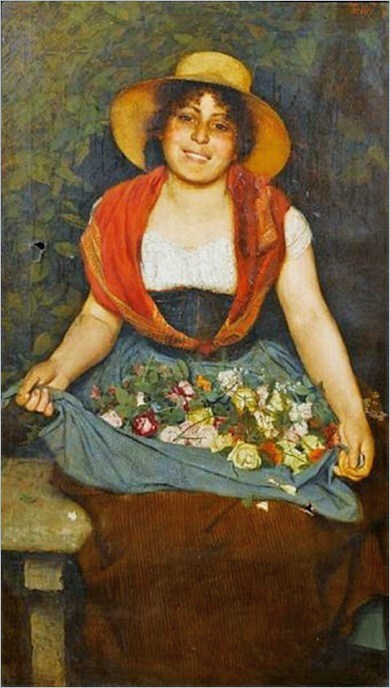 Mayhew, writing in the 1840s, called costermongering an "ancient calling" & attributed the 1st written descriptions of the street sellers' distinctive cries & sales patter appearing in a ballad, entitled London Lyckpeny by John Lydgate probably written in the late 1300s & 1st performed around 1409. Shakespeare & Marlowe mention costermongers in their writings. Initiatives to rid the city of street traders were common during the reigns of Elizabeth I (1558–1603) & Charles I (1625–1649). 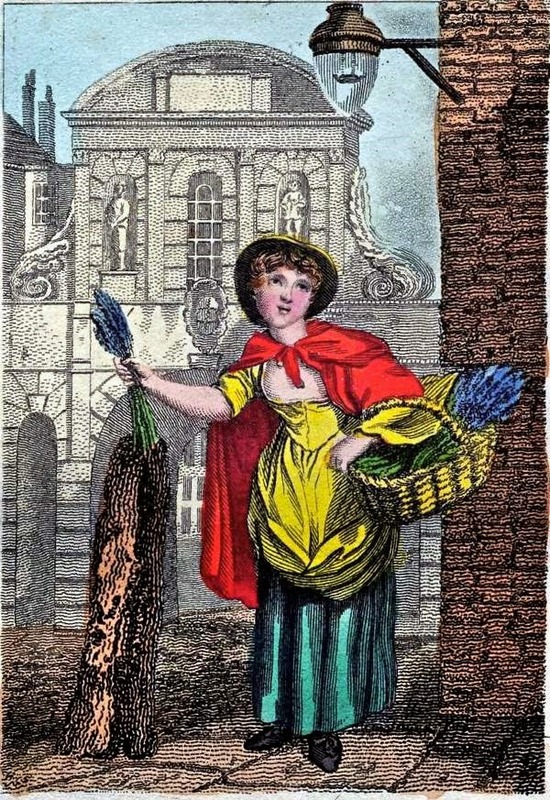 These attempts failed & the number of London-based street vendors surged in the 18C & 19C. 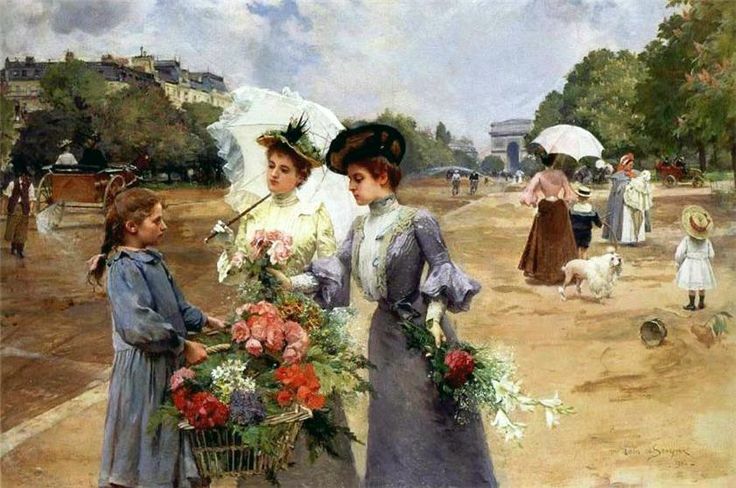 On the otherhand, every employment, even down to the flower-sellers, was carefully regulated by statute in Paris, before the French Revolution, a period of far-reaching social & political upheaval in France from 1789 until 1799. 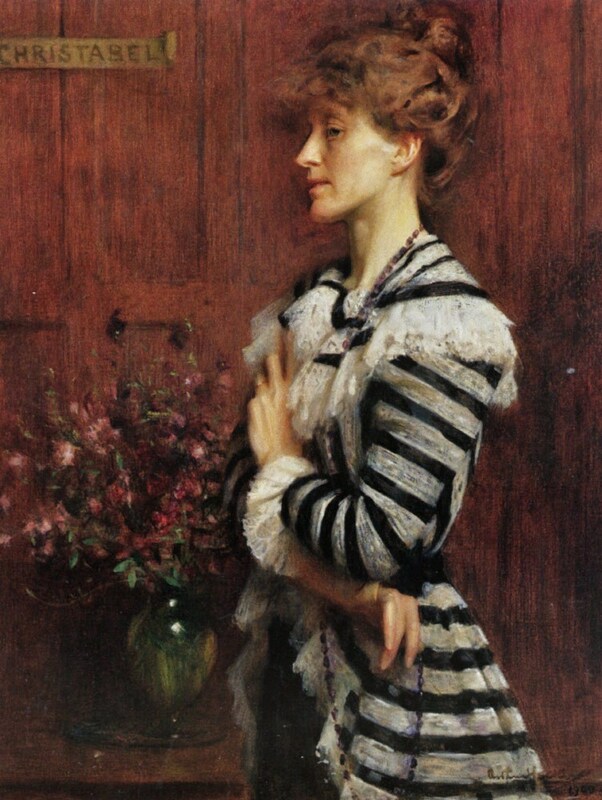 Street life & the "cries of London" was also a recurring theme in painting. In the mid 1700s, the English water-colorist, Paul Sandby created a series entitled London Cries depicting English shopkeepers, stall-holders & itinerant street vendors. The Dutch engraver, Marcellus Laroon began working in London in the mid-1700s where he produced his most famous work, the series, The Cryes of London. The Flemish engraver & printmaker, Anthony Cardon, spent time in England in the 1790s, where he produced a series of engravings of London's street sellers, known as the Cries of London. Francis Wheatley, the English painter, who had been born in Covent Garden and was well acquainted with London's street life, exhibited a series of artworks, also entitled Cries of London, between 1792 and 1795. 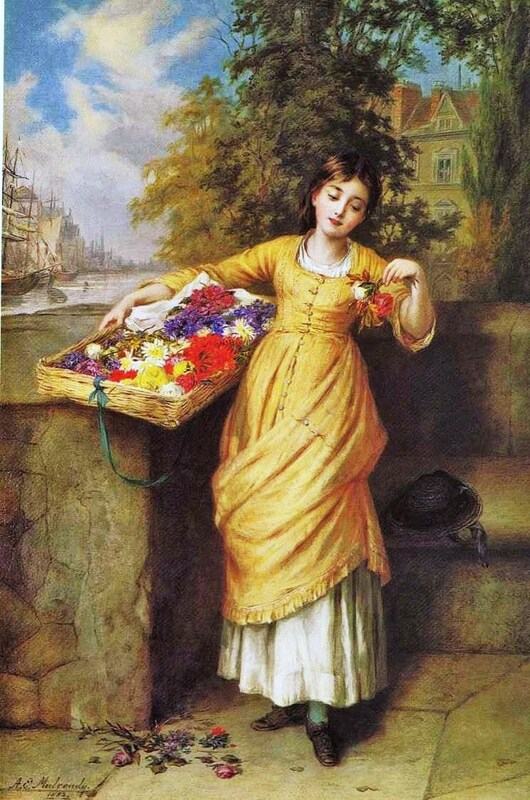 Augustus Edwin Mulready, made his reputation by painting scenes of Victorian life which included street sellers, urchins, markets flower sellers. The French artist, Louise Moillon noted for her still-life paintings, also used market scenes, street vendors, and green-grocers as subject matter in early 17C France. One of Henry Mayhew’s (London Labour & the London Poor. 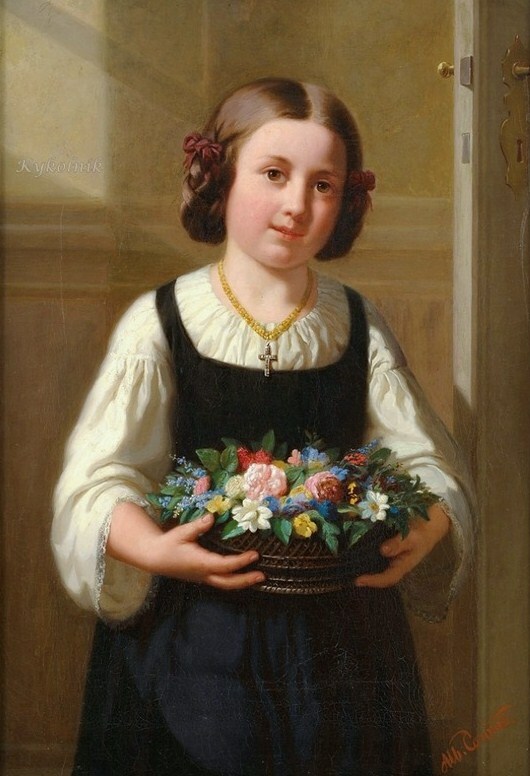 1851) investigations focused on flower girls – children aged under 20 who walked the streets selling flowers, mostly sent out by their parents, but in some cases through the necessity to make ends meet having been orphaned. 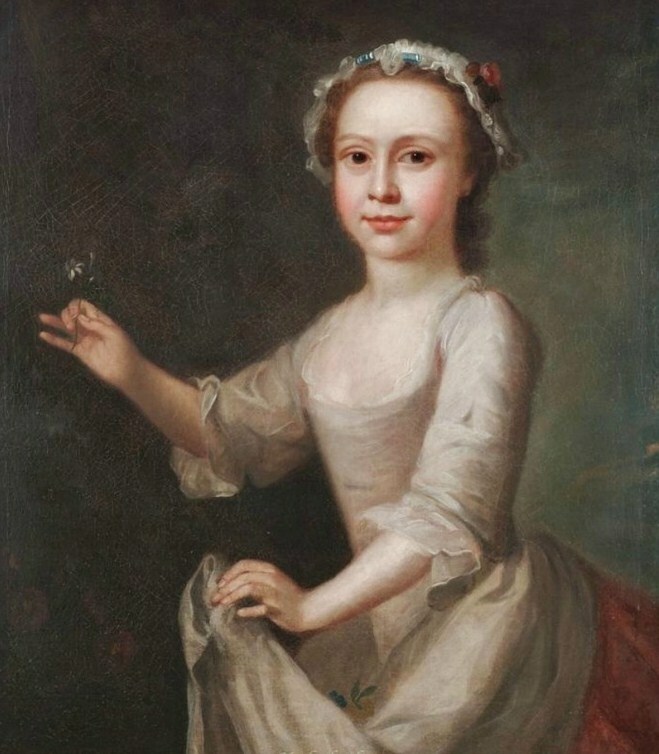 Mayhew pointed out that young girls often started out by selling cut flowers & small bunches of herbs: "At about 7 years of age the girls first go into the streets to sell. 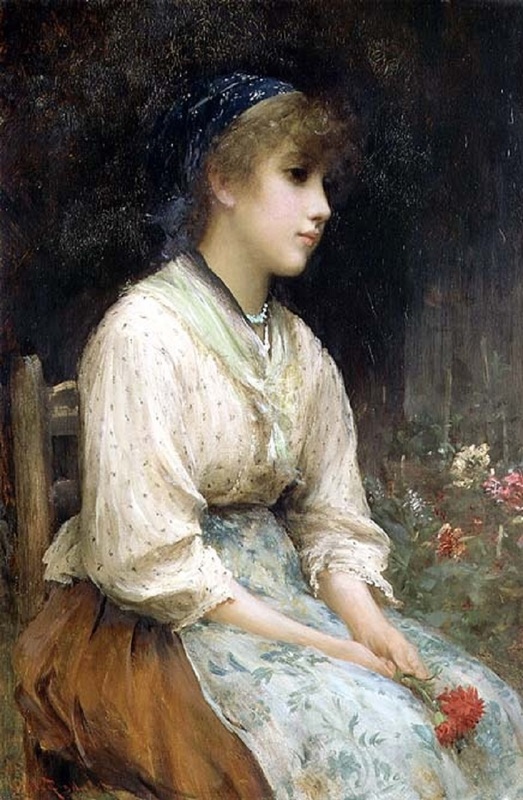 A shallow-basket is given to them, with about two shillings for stock-money, & they hawk, according to the time of year, either oranges, apples, or violets; some begin their street education with the sale of water-cresses." 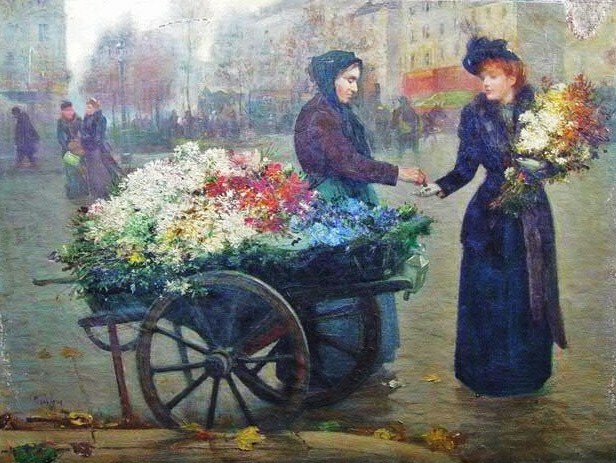 “I sell flowers, sir; we live almost on flowers when they are to be got. I sell, & so does my sister, all kinds, but it’s very little use offering any that’s not sweet. I think it’s the sweetness as sells them. 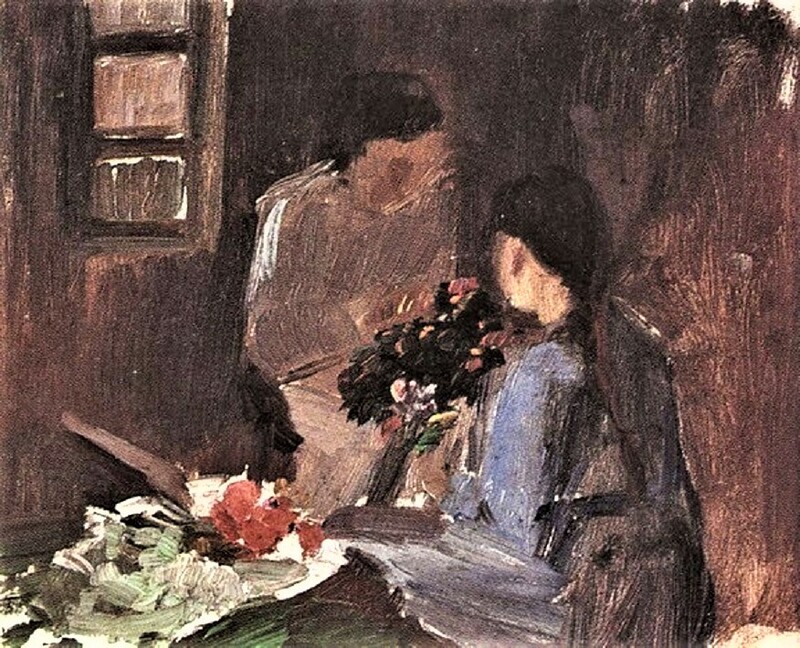 I sell primroses, when they’re in, & violets, & wall-flowers, & stocks, & roses of different sorts, & pinks, & carnations, & mixed flowers, & lilies of the valley, & green lavender, & mignonette (but that I do very seldom), & violets again at this time of the year, for we get them both in spring & winter.” [They are forced in hot-houses for winter sale, I may remark.] 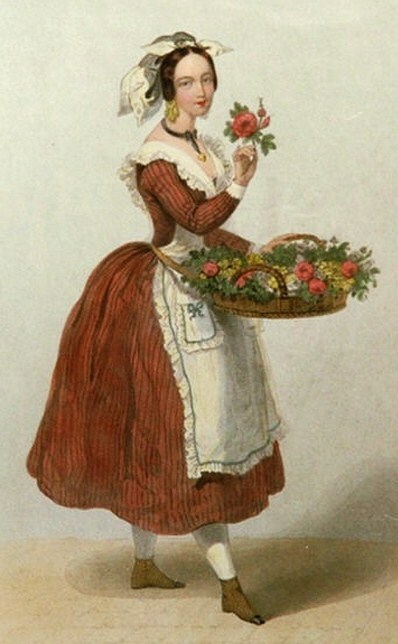 “The best sale of all is, I think, moss-roses, young moss-roses. We do best of all on them. Primroses are good, for people say: `Well, here’s spring again to a certainty.’ Gentlemen are our best customers. I’ve heard that they buy flowers to give to the ladies....I buy my flowers at Covent Garden; sometimes, but very seldom, at Farringdon. I pay 1s. for a dozen bunches, whatever flowers are in. Out of every two bunches I can make three, at 1d. a piece. Sometimes one or two over in the dozen, but not so often as I would like. We make the bunches up ourselves. We get the rush to tie them with for nothing. We put their own leaves round these violets (she produced a bunch). The paper for a dozen costs a penny; sometimes only a halfpenny. ... We do better on oranges in March or April, I think it is, than on flowers. Oranges keep better than flowers you see, sir.